A weathered, older Inca woman of Peru sits with dignity. Having spent my early childhood in Peru, the Inca women with their traditional hats and mantas draped over their shoulders were a common sight. I have chosen to depict her difficult life through the weathered, looser texture and her larger than life bare feet and hands. 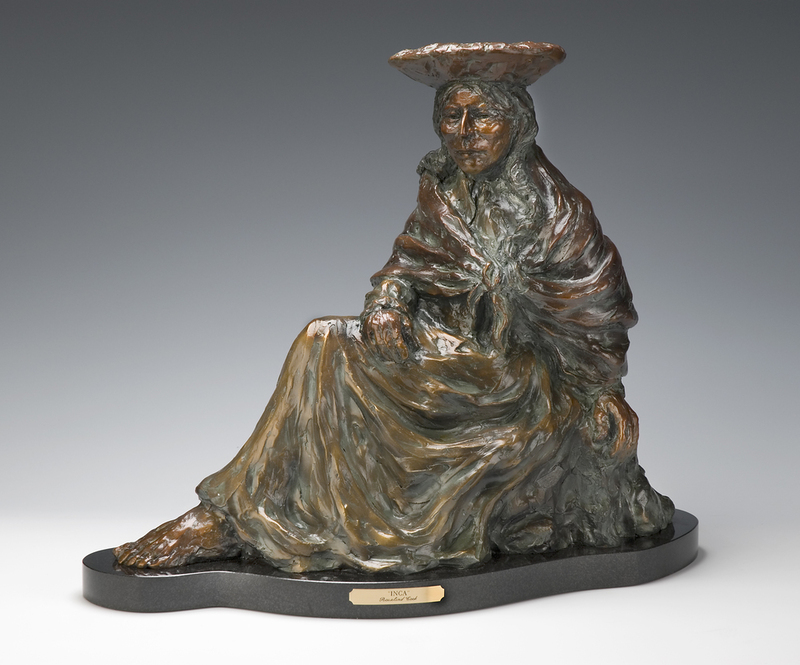 She is sitting with great dignity, and her head is held high, which is a depiction of strength in the midst of adversity. May she speak to you.